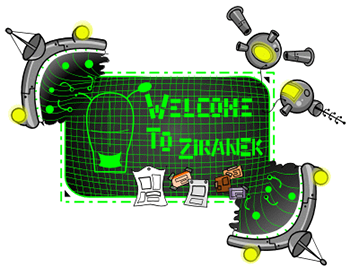 The Ziranek Notice Board is where display an advertisement to other players of Marapets. Each notice automatically deletes after 14 days. You do not have to pay, but if you do, the more you pay the higher your notice will show. -All areas of marapets may be advertised here UNLESS there is already a specific forum for the topic. -You may only post one topic about the same thing in one day. -Do not advertise your shop, auctions or trades on another user's topic. -No topics asking for users to post their shops. That is what this forum is for in itself. -No double posting. Edit your first post instead. You may boost your topic if it has fallen off the first page or is a day old or older. -Do not post more than one topic a day for the same club. -Do not advertise your club on any other clubs' board. -Double posting is okay, but spamming your club board isn't looked highly upon. This includes the use of just smileys and "boost". You must speak in sentences about the club. This is not a conversation area either. -Do not harass other clubs or their club members. -Do not offer mp or items purely in exchange for someone to join (ie "I will give you 100k if you join", "Giving 100k to people who join my club" ). Newbie packs are ok, saying what items you're giving away in the club are fine.